Here is one method that I find very helpful when coaching others that are seeking a way out from the overwhelming demands put on them(selves) in their vocational roles: The S.M.A.R.T. Goals Framework. Without creating small feedback loops around incremental tasks, it is so easy to get lost and distracted by whatever shiny and new comes along your way. 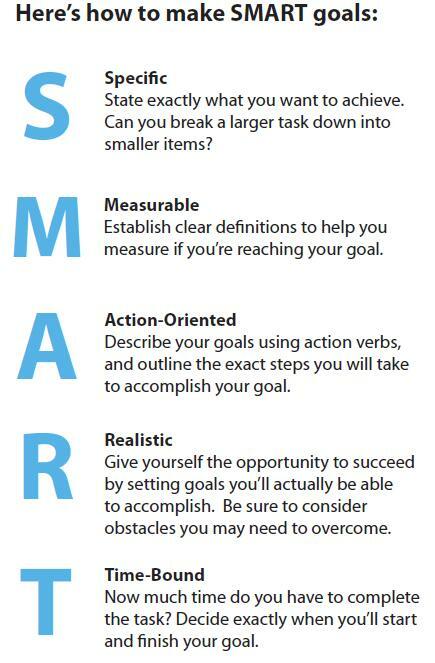 So what are SMART GOALS exactly? And how do you get some? One of the small modifications that I make sometimes is to change “Realistic” to “Relevance” because for some coaching clients, they are trained to feel good as long as they are doing *something* — even if it is out of the scope of what they have been charged to do in their job. Being aware of “Relevance” is critical to being productive. Ensuring “Relevance” can bring freedom to some people so that they can turn down new assignments with integrity so that they are not overloaded and burn out. Hope this helps introduce a new concept to you or remind you to look at your daily routine with this effective and focused lens. QUESTION: HOW OFTEN DO YOU SET GOALS FOR YOURSELF? Daily? Monthly? Quarterly? Ad-Hoc? Never? Thanks Kenny. I'm going to lock myself away for the rest of the team tomorrow and work on getting SMARTER with my day and goals! Great Robert! If you define for yourself SMART goals that back into your overall strategic objectives, you'll have a way to keep yourself accountable and on-track along the way. Being able to articulate and define those short-term goals should also remove any anxiety from not having the confidence that wherever you invest your time & energy won't be a waste. This is similar to how the GTD framework uses the process to capture everything you must get done to provide real, tangible freedom on a daily basis.